With iPads, Xboxes, Ben 10 and Peppa Pig, getting the kids outside for some proper, hands-dirty playtime is a little harder than it used to be. But outside is where our kid’s imaginations can run wild; they dream of fairies, building big construction sites or simply make “potions” out of dirt, water and flower petals. Luring the kids outside is no easy feat, so we’ve come up with ways to make your backyard kid-friendly and they’re easy as child’s play to implement! While they take a little bit of maintenance, veggie patches are loads of fun, and help you save money while teaching the kids more about where the food on their plate comes from. You can go all out with loads of different veggies for each season, or keep it as simple as a small herb garden. There are plenty of stylish, wallet-friendly options out there if you’d like to buy a premade frame for your veggie patch, or you can make one with four pieces of timber, some soil, compost and mulch. Once you’ve got your frame in place, buy some seeds and get planting. 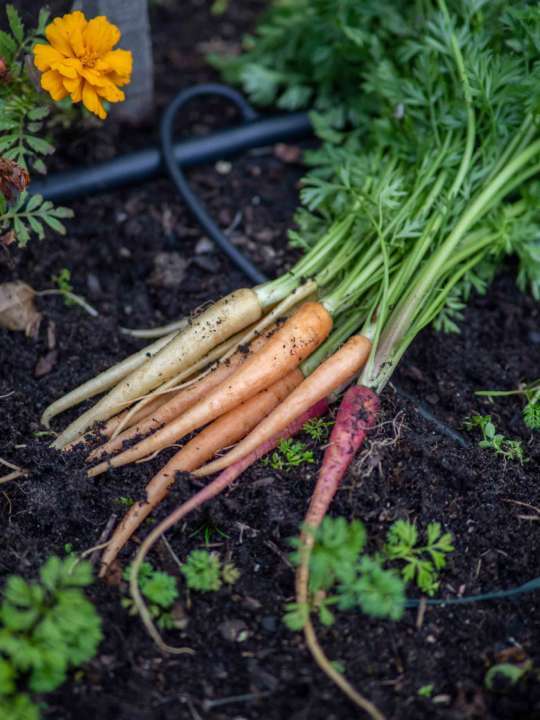 The best thing about a veggie patch is that they are something the whole family can work on, and the kids will love watching their vegetables grow over time. Add a few colourful flowers and some pebbles to the mix and you’ve also got yourself the perfect fairy garden. It’s very simple: kids love swings. Seeing just how high they can go, and feeling the rush of wind through their hair makes swings simply irresistible for many kids, including the big kids. Three hundred dollars will get you a good quality swing set from your local department store. Or if you’re blessed with some big sturdy trees in your back yard, why not hang an old tyre or a small plank of wood with some strong rope? Maybe be sure to give it a go before your children do, just to ensure it’s safe and secure! 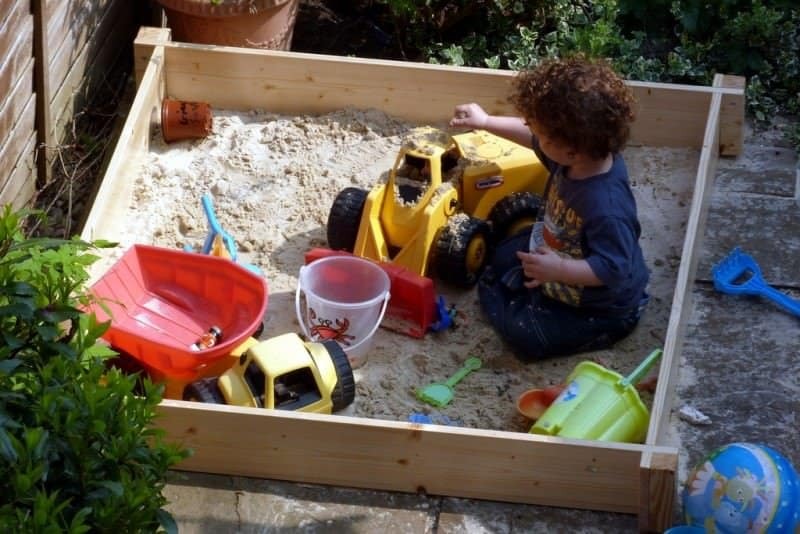 There’s no doubt that kids love a sandpit – digging for treasure and building mountains are two popular sandpit activities, and there’s no limit to how far a child’s imagination can go. Similar to a veggie patch, you can buy a frame or build one yourself. A 20kg bag of washed sand will cost you less than $10 from your local hardware store so you can load up. Throw in some plastic shovels, a bucket and maybe even a few old toy trucks and you’ve got yourself a perfect play space that will keep the kids occupied for hours on end. Quick tip: add a container of cinnamon to the sand when you’re building the sand pit. Bugs hate cinnamon so this will keep them away, and can also work as a deterrent for cats. A cubby house gives your children their own little outdoor space where they can entertain friends – of the real and stuffed varieties – and play imaginatively. It’s also where siblings and friends can have their own secret meeting place. Cubby houses can be pretty expensive to buy outright, but there are plenty of pre-loved cubby houses out there that come in under $500 on websites like Gumtree. You can also DIY it and build your own cubby house if you’re looking to save some dollars. If that’s a bit too much work, your children probably won’t mind if you hang some tarp and canvas from some trees and make a tepee cubby house with a plastic table and chair set inside. There is nothing like a wide open space with some lush, green lawn for your kids to roll around on, play ball games and just run wild. 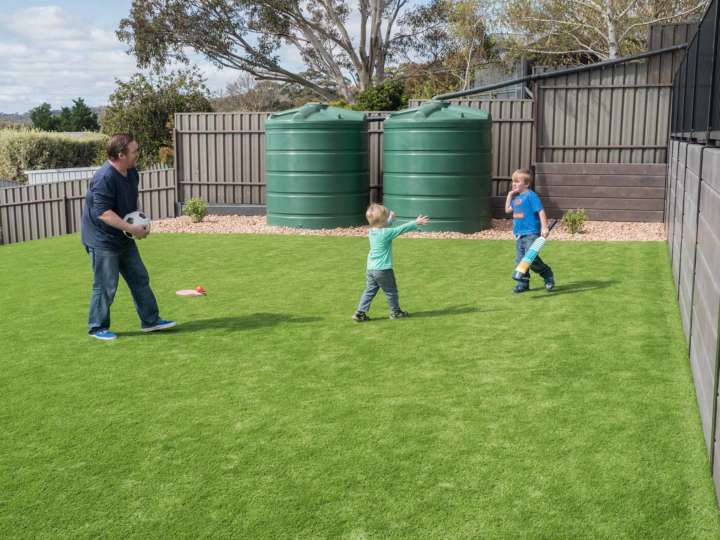 When designing your backyard with kids in mind, one of the best things you can do is leave them a nice big patch of grass that they can make their own. Some cheap sports equipment such as a totem tennis pole or a miniature soccer goal will keep your kids active and playing for hours. Kids need all the encouragement they can get to turn the screen off, head outside and play with each other and let their imaginations run wild. Your backyard is the perfect place for your kids to grow, learn and explore. And by adding even just one of the above ideas, you can turn your garden into a play space your children will love for years to come.